The Endo Blog: To Scan or Not to Scan? This patient had RCT #2 done about 8 yrs ago in the military. She is reporting pain of several days duration. Today it is percussion sensitive, normal perio probings, no swelling or palpation tenderness. 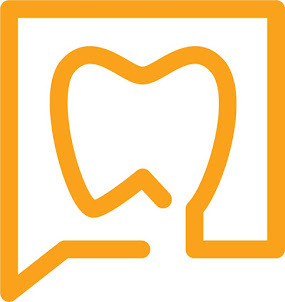 Adjacent teeth are WNL. Radiographs reveal peripical radiolucency and conical shaped root. Two canals have been filled. My assumption is that this is likely a c-shaped canal that was incompletely treated. We decided to take a CBCT to evaluate the root form to determine if there is a missed canal or c-shaped canal. If a canal is missed, then retreatment will be recommended. If all the canals were found, then we might consider a surgical approach. I was surprised to see a large resorptive defect on the DB root surface. This defect has destroyed most of what was once a DB root. 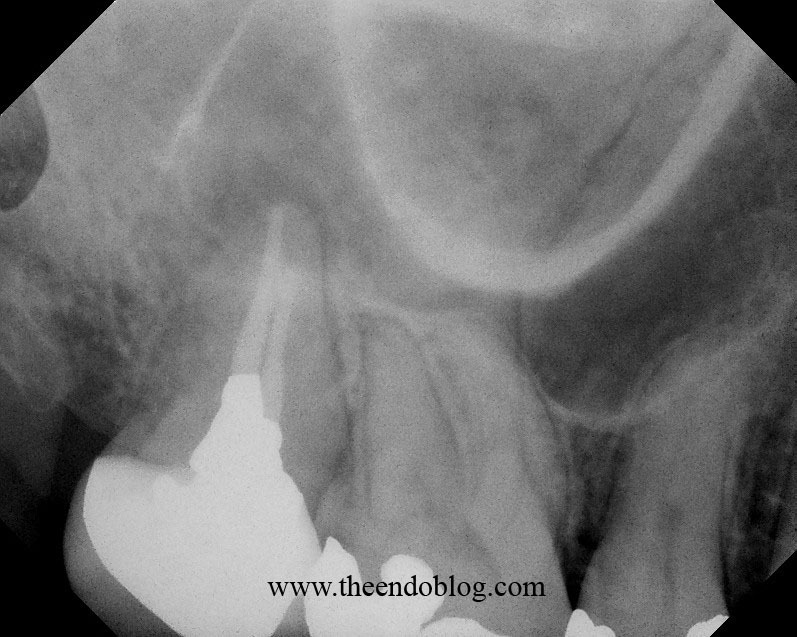 Non-surgical retreatment of this tooth would result in perforation and extrusion of RCT material, and likely failure. It was determined that surgical treatment of this tooth would also have a poor prognosis as well. Extraction has been recommended. Also noted was a perforation in the floor of the Mx sinus, with adjacent sinus inflammation. This tooth is also causing a sinusitis of dental origin. Removal of this tooth should help clear up some of the chronic sinus issues the patient has been experiencing. Another example of CBCT showing what you cannot see in a traditional radiographic image. Neither of these problems were identifiable with regular imaging and were not the purpose were were taking the scan. 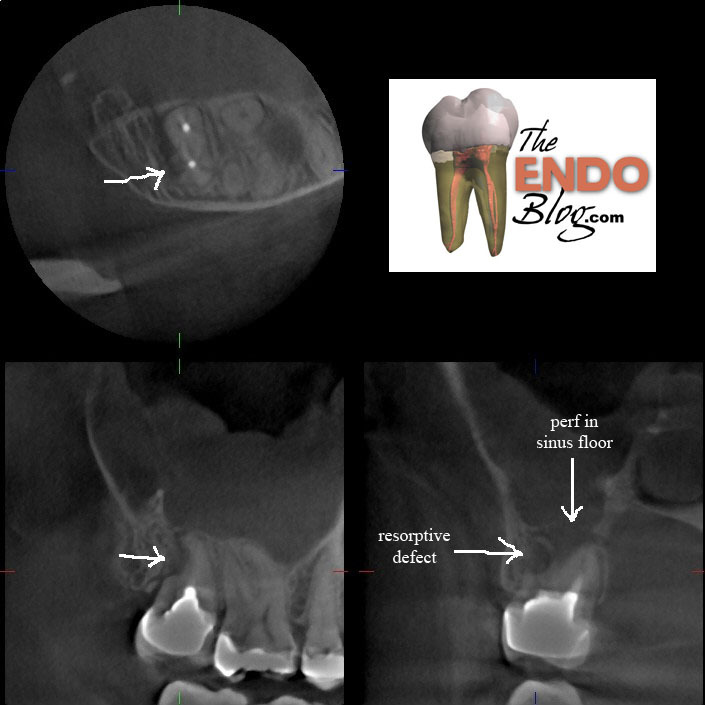 However, identifying the root resorption and the sinus perforation had a significant impact on the diagnosis and treatment plan for this patient. The CBCT is a valuable tool for case selection which improves the rate of successful of endodontic treatment at Superstition Springs Endodontics. Excellent diagnosis case Dr. Hales. I´m sure that CBCT will be a necessary tool in the future. Best regards. Nice diagnosis. The CBCT images are certainly invaluable when determining the extent of resorptive defects. A defect that large represents an almost insurmountable obstacle to adequate disinfection. Always got great information from your blog! CBCT is quite important in these cases, and it is recommended by the experts as well.